Il Borro has a deep violet colour, with purplish reflections. 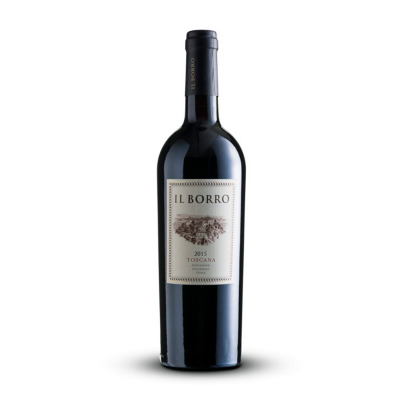 The bouquet is full and intense, concentrated, with notes of underbrush and with spicy scents. 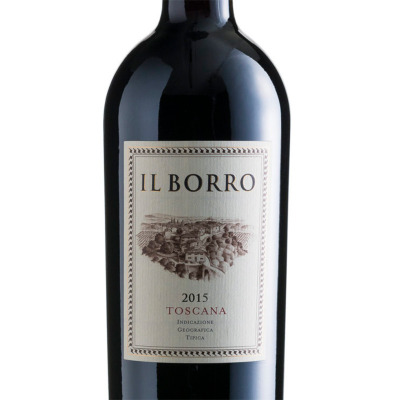 The taste is dry, with good body and soft tannins, a good consistency, well integrated and persistent. The frementation takes about 22 days in the stainless-steel tanks at a temperature controlled 28°C. The last stage is alcoholic fermentation which takes around 10 days on average after which the wine is decanted in to barrels. From these older barrels the wine is siphoned in to new Allier Oak barrels, a procedure known as racking. After the malolactic fermentation the grape varieties are blended by the Vigneron, the estate wine maker. The wine is then left to mature in casks for at least 18 months after which it is filtered and bottled. The wines remain in cellars for a further 8 months for a final maturation. All the Tuscan dishes cooked with meat, Tuscan croutons, aged cheeses, cold cuts, pasta and main courses with games. Il Borro wine pairs perfectly with hare, wild boar, chianina and cinta senese meat and also asiatic dishes and burgers.